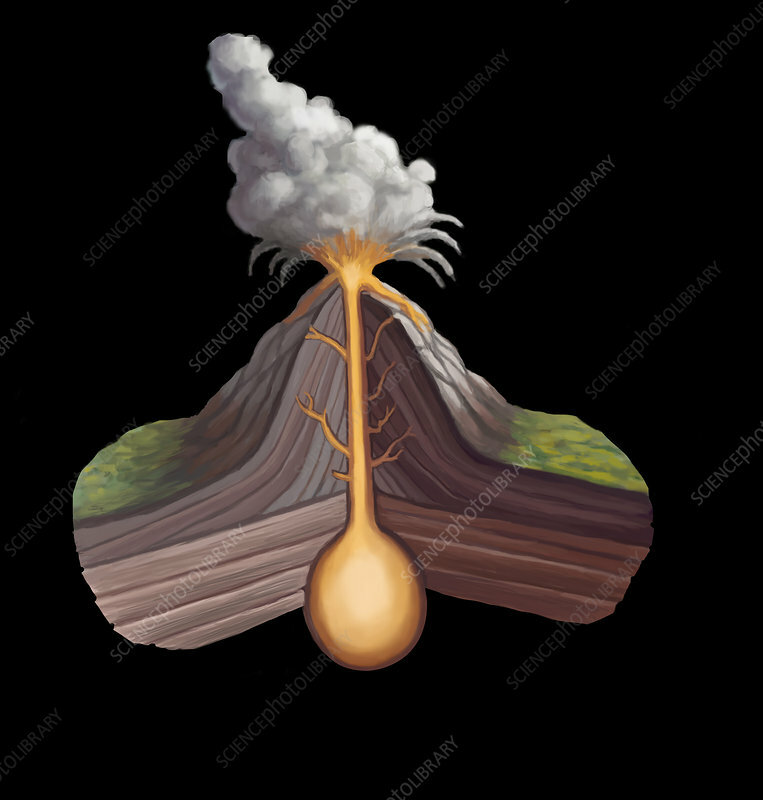 Illustration of the volcanic structure. A volcano is an opening in a planet's crust which allows hot magma, volcanic ash, and gases to escape from the magma chamber below the surface. At the top of the volcano materials like, ash, lava, and other pyroclastics are released. Layers of lava alternate with layers of ash to build a steep sided cone on top of the earth's crust.